Wondering what it’s like to be an in-house barrister? We caught up with Sara George, a Partner in the International Law Firm Stephenson Harwood LLP in the City of London, and Edite Ligere, an in-house barrister at Debevoise & Plimpton LLP to find out about their careers. Sara specialises in international investigations into criminal and regulatory offences involving insider dealing, market abuse, financial services rule breaches and bribery, corruption and fraud. She discusses her work and gives some top tips for aspiring barristers of the future. Keep reading to find out more! What does your work at Stephenson Harwood involve? My work involves defending individuals and firms in cases brought by the UK Financial Services Authority, the Serious Fraud Office and the US Department of Justice, Securities and Exchange Commission and the Commodities and Futures Trading Commission. I was the first in my family to go to University. I read Egyptology at Oxford University before converting to law at City University. I did my pupillage at the Chambers of Ann Rafferty QC, then at 4 Brick Court. I spent the first four years in Chambers doing mainstream criminal work before joining the Financial Services Authority at its inception and prosecuting the first criminal market abuse case. I then moved into private practice and became a partner once the rules changed permitting barristers to own and manage law firms. The constant challenge and the importance of the criminal law to everyone it touches. 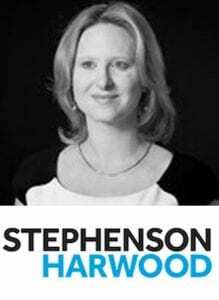 What is the best thing about your career at Stephenson Harwood? My clients who are remarkable in their fortitude and their determination. In my area, strong personal relationships between individuals under investigation and their barrister are essential in order to achieve the right result. Trust and confidence and personal support over the course of an investigation lasting several years is an important factor in their ability both to keep their position within a firm and to enable them to keep performing at the highest level. It is an exceptionally rewarding role. Frustration at seeing cases prosecuted or defended badly. In a highly adversarial system of criminal justice it is essential that both parties are represented to a very high level. Public confidence in our system requires it and the victims of crime are entitled to nothing less. Those facing the loss of liberty, reputation or bankruptcy should only face prosecution when there is sufficient admissible evidence against them and when the public authority has made proper disclosure of all material which undermines the case against them. Sadly, too often this is not the case. Fear is your friend. Fear of not being at your best, of missing a point or of letting down someone who relies on you means it is much less likely that you ever will. Fear makes you re-check the disclosure, rehearse the closing submission again and spend a few more hours in the library rather than going home. This is why it is a vocation not a job. 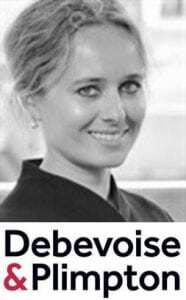 We caught up with Edite Ligere, an in-house barrister at Debevoise & Plimpton LLP, a leading international law firm in the City in London with offices in New York, Washington D.C., Paris, Frankfurt, Moscow, Hong Kong and Shanghai. Edite specialises in commercial law, (re)insurance and the regulation of financial services and talks to The Lawyer Portal about what attracted her to the Bar as well as the highs and low of being a barrister. LLB (First); LLM; Bar School; Pupillage and Tenancy at the Chambers of Philip Havers QC, 1 Crown Office Row, Temple, EC4Y 7HH. Independence of thought and integrity of action as well as the camaraderie of the Bar. What is the best thing about your career at Debevoise & Plimpton? Being independent, using one’s mind in a constructive and creative way. The Bar is a fascinating and rewarding profession. Occasionally being under significant time pressure. Only embark upon a life at the Bar if you have a thorough understanding of and are absolutely committed to the profession and all that it entails.